The family of an 11-year-old boy hit and killed by a tractor have called for a change in the law which prevents over the limit drivers from being prosecuted when driving on private roads. The driver was reversing his tractor and slurry trailer on Swithens Farm in Rothwell, when it struck Harry, causing fatal injuries. He was flown to Leeds General Infirmary by Yorkshire Air Ambulance, but despite all efforts made, Harry died from his injuries. 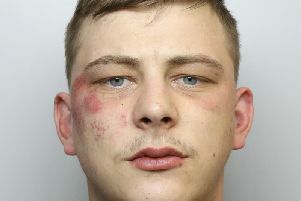 The driver was more than twice the legal drink drive limit, but due to a loophole in the law, he could not be prosecuted because he was driving on private land. Now the family, with the help of solicitors Switalskis, are hoping to create Whitlam’s Law - where there is no distinction between private or public land if someone is found to be in charge of a motor vehicle whilst under the influence of alcohol. Pamela Whitlam, Harry’s mum, said: “We are hoping to change the law as I don’t believe there to be any difference that if someone is drink driving, where ever they are, they should be prosecuted - whether they are on public land or private. *The Observer & Advertiser are supporting the Whitlam’s Law campaign and have started an online petition. To add your support, visit www.change.org/p/the-road-traffic-act-1988-whitlamslaw-make-drink-driving-laws-apply-to-vehicles-being-driven-on-private-land. And also support the campaign on Twitter by using #Whitlamslaw.